•✅ FUNCTION MEETS STYLE – Fits iPad Pro 9.7" snuggly with convenient and safe pockets for documents, business cards & resumes. We bring you a business accessory you’ll never want to part with - It also has a place to hold your pen and writing pad. 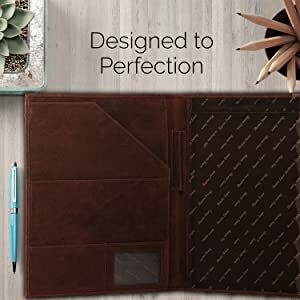 •✅ PERFECT BUSINESS GIFT Looking for a gift for a work colleague, business client, or a recent college graduate? Look no further. College graduation seeking out their first job? Looking to up your Wall Street game? This is the best gift for men & women! 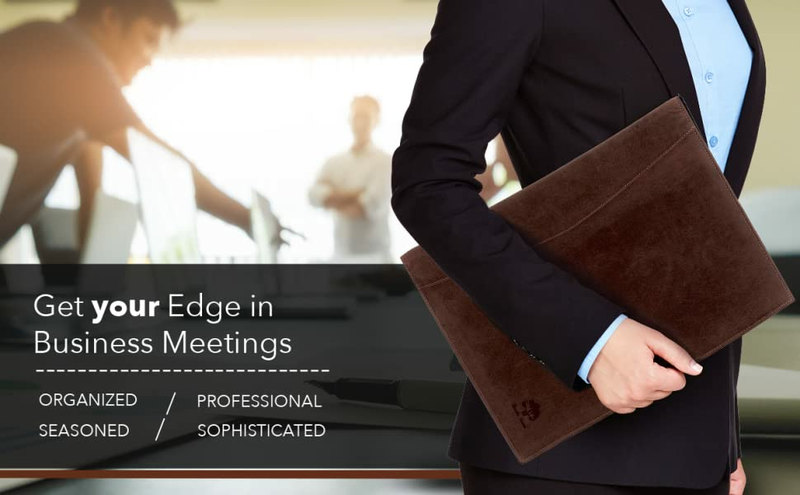 Getting the edge at business meetings can be hard but with a Rustic Town Leather Portfolio you will like you’re a real success; super-organized and ready for a flawless presentation. 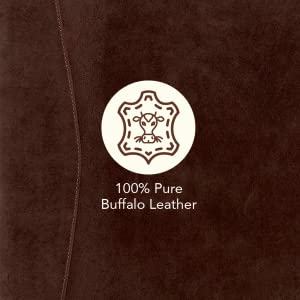 Made from 100% supple leather, with a premium finish so not to look shiny or like plastic, and handcrafted by skilled artisans of a traditional “lost art” method to create stunning workmanship whose spirit is lost on mass-produced leather goods. You’re organized, you know where everything is, you know you look great. Now go make it real! Oil rubbed and distressed. It is Dark Brown in color. We master the smallest details and test our material before we ship. Our in-house production leads to the best quality control. 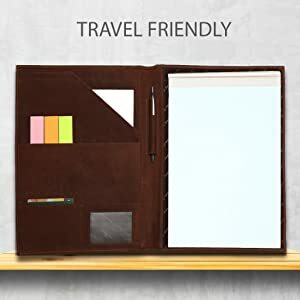 This slim business portfolio is big enough to safely stow and organize your essentials yet is compact, stylish & travel-friendly. We know you value all the stuff that’s why, we’ve taken extra care to make this strong and durable. 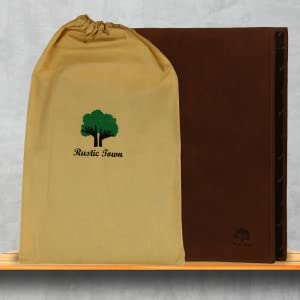 1 large pocket for documents, loose Sheets. Very convenient to use in any place you are in like meetings or exhibitions. 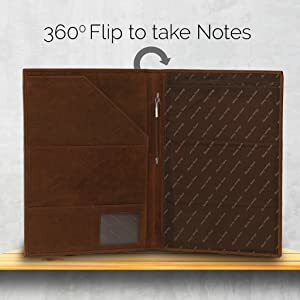 you can flip the cover completely back for quick & easy note-taking. Easy Maintenance, In case of dust or strain just wipe it with wet cloth or tissue, it will look new again. Very friendly to use, handle in day to day work.